ANNA Crusis is just thrilled to be teaming up with Sister Cities Girlchoir and Sister Cities Women’s Boot Camp Choir. We’re wrapping up the tail end of Women’s History Month with a musical celebration of girl power at the Girl Power Music Fest. This concert will feature songs uplifting sisterhood and connection in many genres from classical to world music to rock-n-roll to rhythm and blues. 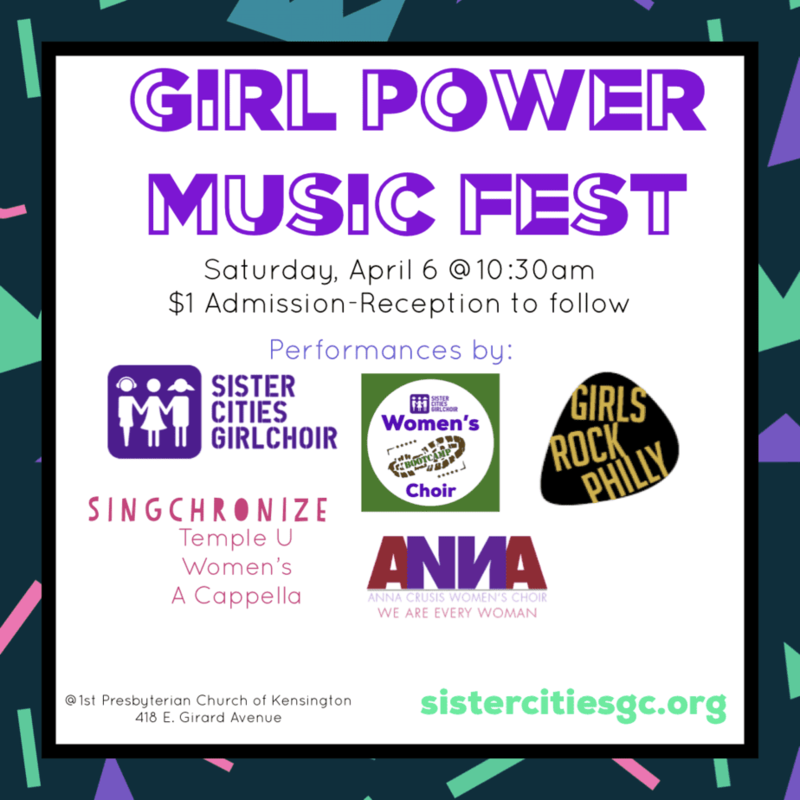 Not only will ANNA rock the house, but so will special guests Girls Rock Philly and Singchronize, Temple University’s Women’s Acapella Ensemble. Plus, there will be a reception after! So bring your family and friends for a Saturday morning filled with fun and music.